Recently I was watching footage of eagles in motion. 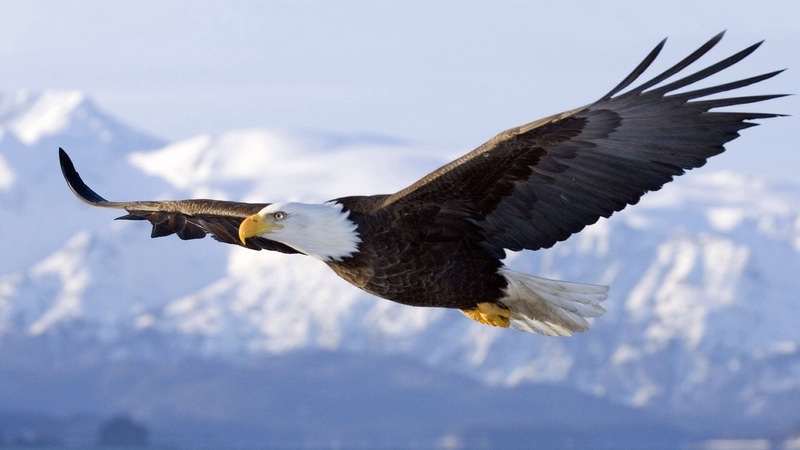 I was attracted to the effortless motion of the eagle in flight. An incredibly powerful creature with very keen eyesight and powerful claws — clearly there is majesty with this bird. I was then reminded of the words which appear in the bible from the prophet Isaiah which says, “But they that wait upon the LORD shall renew their strength; they shall mount up with wings as eagles; they shall run, and not be weary; and they shall walk, and not faint.” There is much metaphorical language here that once understood will empower us. To wait on the Lord says you will trust him. It’s a little thing, but we all have people in our lives that we would not trust enough to wait on them. These people may be nice folks, but I know I have some relatives that I would not ask to pick me up from the airport unless I had a lot of extra time. Some people are very challenged with these situations. Hopefully you feel our God is worth the wait. What he can do for you, makes him worth the wait. Here, our text says he will “renew their strength.” This means that he will not replenish the strength they had, but give them a strength they never had before. The strength in this text allows you to run and not grow weary and walk and not get tired. The symbolism displayed in mounting up with wings of an eagle is a poetic way of saying you would have the same confidence and power shown by the eagle when he is about to take flight. It’s like playing a high stakes card game with your enemies and you know you have the best hand. There is an overwhelming confidence in knowing. This is the very thing that God is bringing to you. But this knowledge sustains you forever. You never doubt, you never grow weary and you never have a bad day. Running is just symbolism for doing. To run and not grow weary is to operate in God’s purpose and be blessed in it. Walking is just symbolism for lifestyle. To walk and not faint is to live without stumbling. Both of these rely on your commitment to the one who judges justly. It all rests in the knowing. So what is the knowing? This is where you learn that the dealer in the card game of life is God. It’s when you realize that every trap Satan sets for you has been sponsored by God — meaning that he set the limits of the trial and the duration to bring you to his will, not Satan’s will. And that he has freed you from sin so you don’t have to dwell in it any longer. The question is do you really want to fly like that? Do you need the confidence that your source of power is greater than any power you will face? Do you want an eternal source that makes growing weary and getting tired a thing of the past? You then must trust in the Lord with all your heart and lean not unto your own understanding. Next Post The real reason for the season?